This artpack contains 102 high-resolution figure tokens (100 original tokens plus 2 color mods for additional variety). 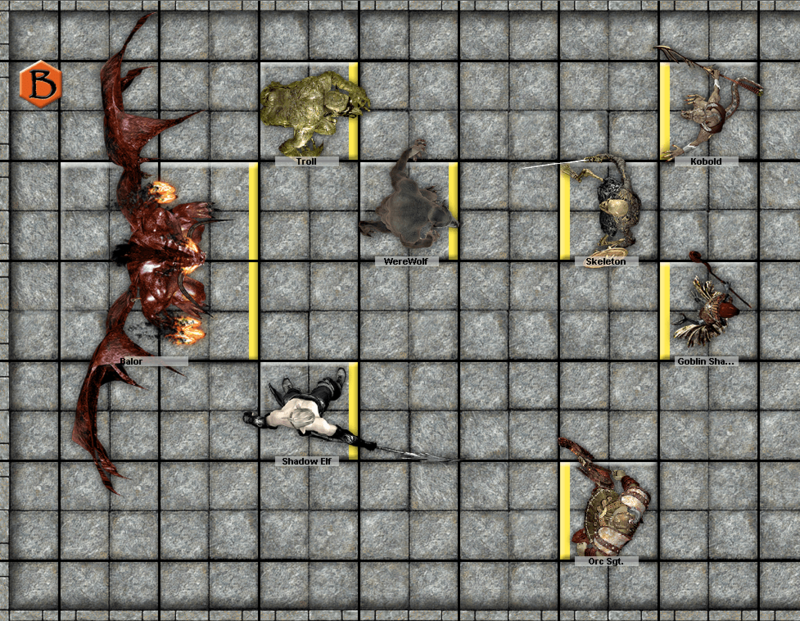 They are suitable for use with fantasy or horror games that use a scale of 5 feet per square or 3 feet per hex, since they will not pixelate even at full zoom in Battlegrounds. Vry, the artist responsible for this artpack, has generously decided to make his monster token collection available for free to Battlegrounds users. Note that these are high-resolution versions of the low-resolution tokens that are available for download on his website. He has my thanks for adding value to BRPG in general, since GMs now have access to an excellent “starter set” of monster tokens at no additional cost. For more information about this artpack, click here.